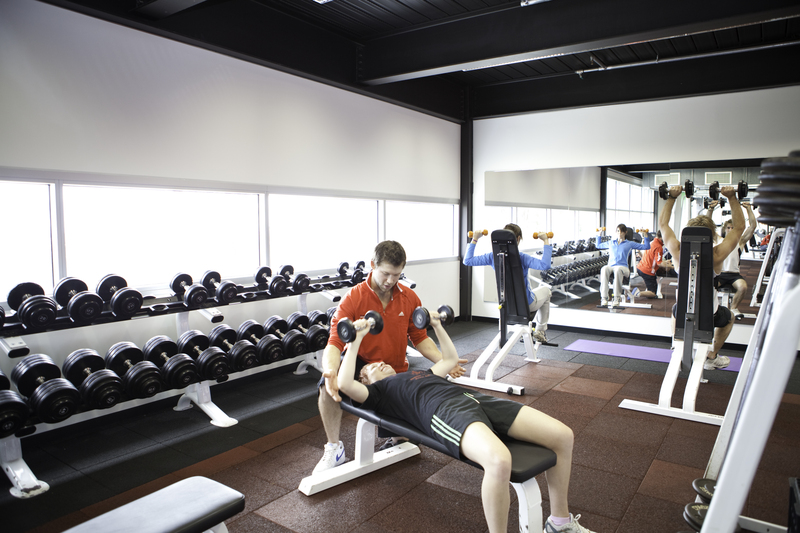 Equipped with both free weights and pin loaded equipment, the weights room provides for all members. Weight training is important for all, building muscle strength and tone, increasing your metabolism and developing bone strength and density. This offers opportunities and benefits to all to improve your health and wellbeing. A large well equipped area with free and pinloaded weights.